Symptoms of Tobacco streak virus (TSV) include bud blight, shepherd's crooking, stunting, wilting, delayed maturity, bud and leaf proliferation, reduced pod number, and discolored, distorted, and dead leaves. 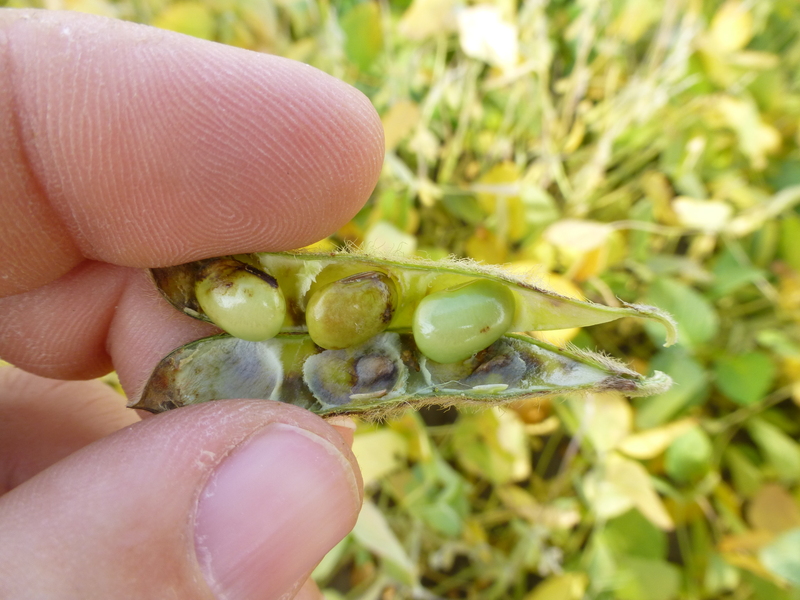 TSV infection can cause discoloration and dead streaks at nodes, dark spots on pods, and delayed seed development. 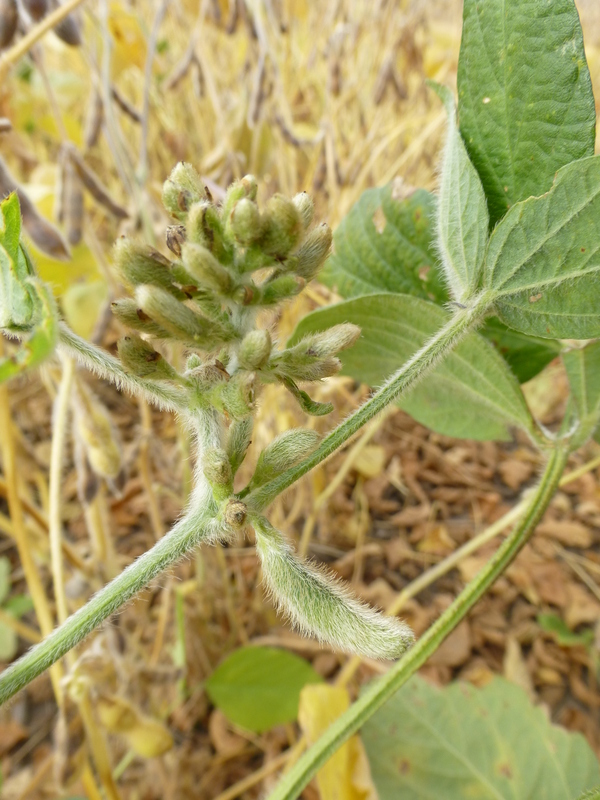 TSV can be seed transmitted but is also spread by thrips. 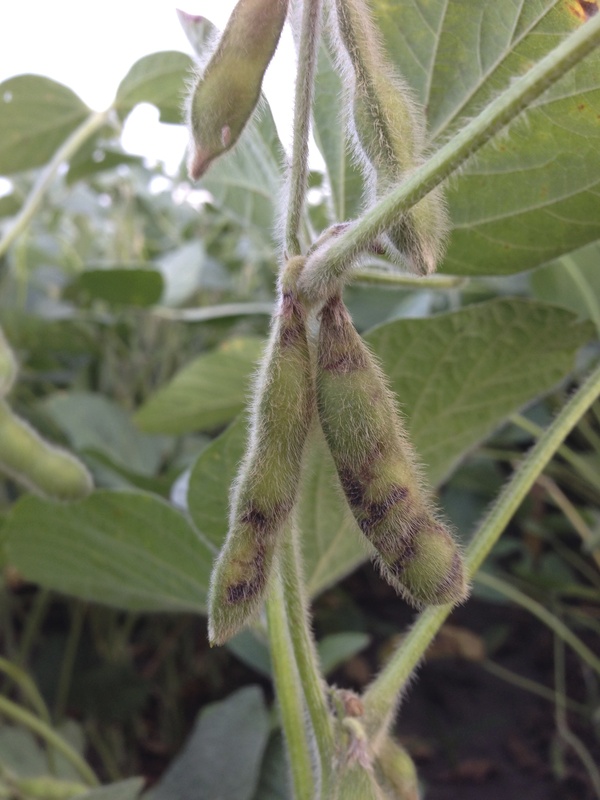 Hot, dry weather is conducive to disease development. 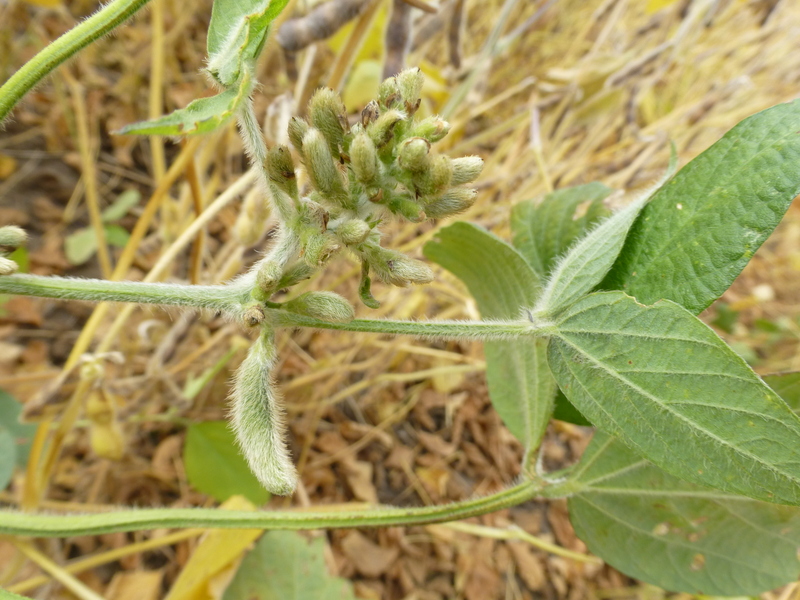 Bud proliferation caused by Tobacco streak virus. Pod lesions characteristic of tobacco streak. 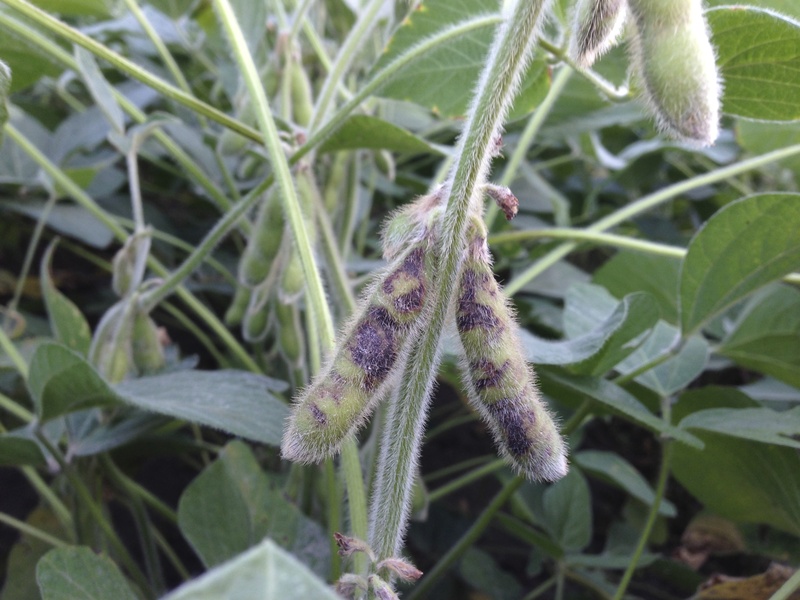 Tobacco streak virus can cause discoloration and dead streaks at nodes. Pod lesions resulting from Tobacco streak virus infection. 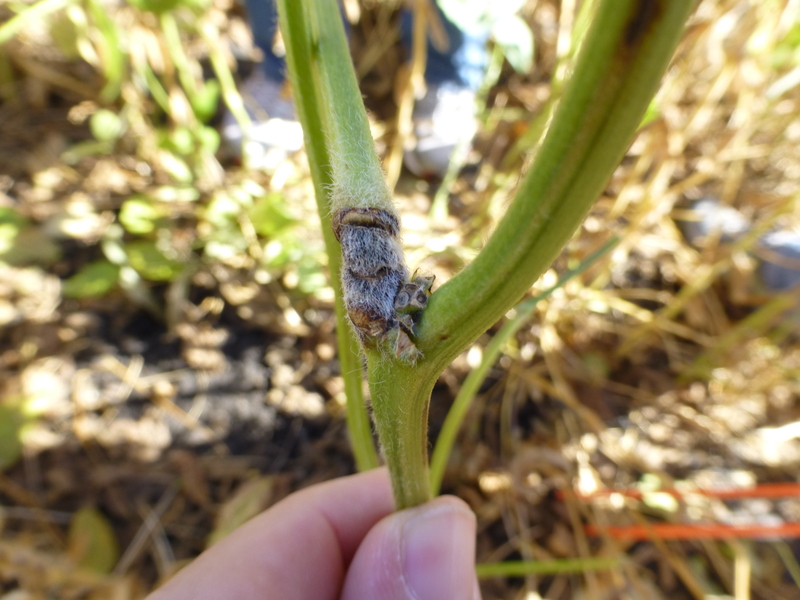 Tobacco streak virus can cause seed discoloration. Proliferation of plant tissue symptomatic of tobacco streak.